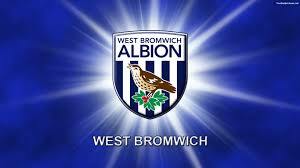 Home » Tournament in Focus » - English Premier League » Former Palace and Wolves striker set to sign for West Brom. Former Palace and Wolves striker set to sign for West Brom. Former Wolverhampton Wanderers and Crystal Palace forward Bakary Sako is set to sign for West Bromwich Albion, with Sky Sports reporting that the Midlands’ club are hoping to get the player registered in time for the team’s visit to Preston on Saturday. The Mail international has been a free agent since leaving Palace in the summer after rejecting a new contract at Selhurst Park, and has agreed a deal with the Baggies in principle, after spending the last 10 days on trial with the club. West Brom boss Darren Moore had been impressed by Sako’s form but needed to be convinced about his fitness before a deal was offered to him. However, that hurdle has now been overcome, and Sako who averaged almost a goal every three games for Palace last season, looks set to bolster the West Brom attacking options, as the club continues its efforts to bounce straight back to the Premiership.